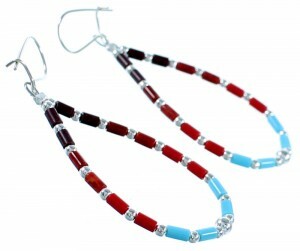 Sterling silver, man made Turquoise, Coral, and Sugilite. This is a wonderful piece of Navajo artistry! 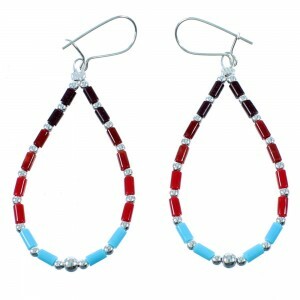 This piece of Native American jewelry is Navajo hand strung out of genuine sterling silver, along with man made Multicolor Heishi beads. 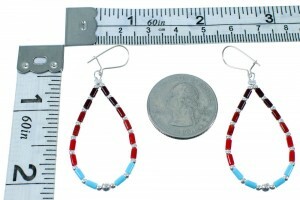 The earrings consist of: 2-mm silver round beads, along with 2-mm Turquoise, Coral, and Sugilite Heishi beads.